The arrival of Agang on the South African scene at last lets us explain South African politics to Brits in terms they can understand. The ANC is like the British Labour Party, having the support of Cosatu, one of the biggest trade union groupings. The DA is like the British Conservative Party, and attracts the votes of conservative-minded voters in South Africa. Agang is like the British Liberal Party, and appeals to liberals, though, unlike the British Liberal Party, it hasn’t sold out to the Tories yet. Inkatha is like the Scottish National Party, and Bantu Holomisa’s lot (I forget their name) are like the Weslsh equivalent. The Freedom Front is like the UK Independence Party. That leaves the ACDP and the PAC which are rather difficult to explain in UK terms. Perhaps you could say that the PAC is also like the UKIP, except that it would like to be in Africa just as much as the UKIP doesn’t want to be in Europe. Whenever I see Agang written I do a double take, because I tend to read it as “aging”. But that’s OK, as it serves to remind aging liberals like me that we have something to vote for in the 2014 election, if we live that long. 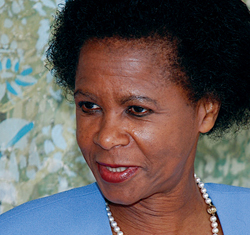 Last year I was rooting for Mamphela Ramphele for president, and though she’s unlikely to be president in 2014, I think her voice needs to be heard in parliament. Oh, I forgot Julius Malema. Well, Julius Malema reminds me of Tielman Roos in a lot of ways. Appealing to the workers and playing the race card, for example. You haven’t heard of Tielman Roos? Well, don’t worry — in 80 years’ time probably no one will have heard of Julius Malema either. I read the blogs of people who claim to be libertarians, and it’s really hard to tell. Some sound like liberals on steroids. Some sound as though they believe the universe has given them the right to grind the face of the poor into the dirt, forever, and they are just longing for the opportunity to do it. And some sound like all three, switching from one to the other in as many sentences. Hat-tip to Ron Paul Is Not a Libertarian | Clarissa’s Blog — I originally posted the above as a comment in response to Clarissa’s post, but thought I would also post it separately as well. It is an invitation to gluttony, saying, in effect, that over-eating is not a vice. I am a liberal, and I generally think that liberalism is a good thing. I think that liberty, human freedom, is a good thing. But when I read blogs by people who claim to be libertarians, I get the impression that what they are after is not so much liberty as licence. That is why I say that they are like liberals on steroids. Liberals think that liberty is important, it is an important value, and the lack of it should be remedied as quickly as possible. Libertarians seem to believe that personal liberty is the only value, and that everything else must be subordinated to it. Someone once asked me how, as an Orthodox Christian, I could say that I was a liberal. They thought that liberalism was the essence of everything that is evil and wrong with the world. Man’s insistence on his individuality is an indication of his failure to realize his personal distinctiveness and freedom, of his falling away from the fulness of existence which is the life of the Trinity, personal coinherence and communion in love. This falling away is sin, amartia, which means missing the mark as to existential truth and authenticity. The patristic tradition insists on this interpretation of sin as failure and ‘missing the mark,’ as the loss of that ‘end’ or aim which for human nature is its existential self-transcendence, taking it into the limitless realm of personal distinctiveness and freedom. But making freedom the main thing, or even the only thing, as libertarians seem to do, is to turn freedom into an idol. It turns liberty into an ideology, a kind of binding principle, so that in embracing the idea of freedom, and bowing down and worshipping it, one actually loses one’s freedom. When one makes liberty a principle and a rule by which everything is judged, one loses one’s freedom to live and to act; freedom as a false god is anything but free. 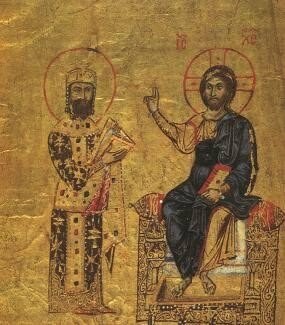 Yannaras, Christos. 1984. The freedom of morality. Crestwood, NY: St Vladimir’s Seminary Press. The discovery came too late for Hitler, who could have used it to identify and exterminate opponents of his regime at birth, on the general principle that prevention is better than cure. According to scientists at UC San Diego and Harvard University, ‘ideology is affected not just by social factors, but also by a dopamine receptor gene called DRD4.’ That and how many friends you had during high school. The study was led by UCSD’s James Fowler and focused on 2,000 subjects from the National Longitudinal Study of Adolescent Health. Scientists matched the subjects’ genetic information with ‘maps’ of their social networks. According to researchers, they determined that people ‘with a specific variant of the DRD4 gene were more likely to be liberal as adults.’ However, the, subjects were only more likely to have leanings to the left if they were also socially active during adolescence. Hat-tip to Father David MacGregor of Contact Online Weblog: Ugandan Church faces totalitarian liberal activism. for pointing to this piece of rhetorical gobbledegook. Anyone who knows anything about the English language will know that “liberal” and “totalitarian” are about as far removed from each other in meaning as they can possibly be. It is impossible for anything, including activism, to be simultaneously liberal and totalitarian. It is no more possible than it is for something to be simultaneously wet and dry, or hot and cold, solid and liquid. The only place where you will find liberal totalitarians is skiing the slow-clad slopes of Sahara mountains in midsummer, or sunbathing on the sand-dunes of Siberia in mid-winter. If you want people to pay attention to what you have to say, avoid such over-the-top rhetoric. Though I still describe myself as a political liberal (I was a card-carrying member of the Liberal Party when it existed), it is becoming increasingly difficult to know what “liberal” means in conversation, whether written or oral. As an ordinary adjective, “liberal” can mean free, generous, or unrestricted. “Liberal abortion laws” are laws that allow unrestricted abortion. “Liberal drug laws” are laws that allow unrestricted drug use. “Liberal gun laws” are laws that allow unrestricted gun ownership. Well, not quite, because the way many people speak and write, “liberals” are in favour of “gun control” (whatever that means). At some point there is a cross-over from “liberal” in a general sense, meaning having few or no restrictions, and “liberal” as a political philosophy. And sometimes there is another inversion there too. People often speak of “liberal” in the sense of a political philosophy as if it were the opposite of “conservative”. Perhaps that is a hangover from 19th century British politics, when, from 1850 to 1920, the Liberal and Conservative parties were the main players on the political stage. In fact the opposite of “liberal” (in the political philosophy sense) is not “conservative”, but “authoritarian”, and the opposite of “conservative” (again in the political philosophy sense) is not “liberal” but “radical”. The result of all this is that when people use the word “liberal” it is often difficult to know what they are talking about without asking for more information. And then there is the “gun control” that “liberals” are alleged to be in favour of. It is rarely defined by those who use the term, so it is difficult to know what it means, other than that, whatever it is, those who use the term are against it. But I assume that it means that people who are against it believe that owning a gun should be like owning a camera rather than like owning a motor vehicle. When one buys a motor vehicle, it is registered, and has a distinctive number plate so that it can be identified, and one needs a licence to drive it on a public road, and in order to get a licence one needs to pass a test to show that one is competent to drive it without endangering other road users. When one buys a camera, one does not need to register it, and though it has a distinctive serial number from the manufacturer, there is no central registry keeping track of who owns which camera. The difference is, of course, that when used incompetently, carelessly or recklessly both guns and motor vehicles can cause damage to property and injury or death to other people. So I wonder if those who are against gun control are also against motor vehicle control and testing the competence of drivers. Do those who say that gun control means that only criminals will own guns also believe that only criminals own motor vehicles?